Whether you are answering a reporter’s questions, educating patients about colonoscopy or need inspiration, background material or facts for an article you want to submit to your local media—the CRC Community Education Toolkit will help your efforts to make a difference. The following document is offered to help you address key issues in colorectal cancer screening for media interviews during March. As a way to focus your comments and bring attention to important public health issues relating to colorectal cancer, we are providing specific background and talking points for CRC month. 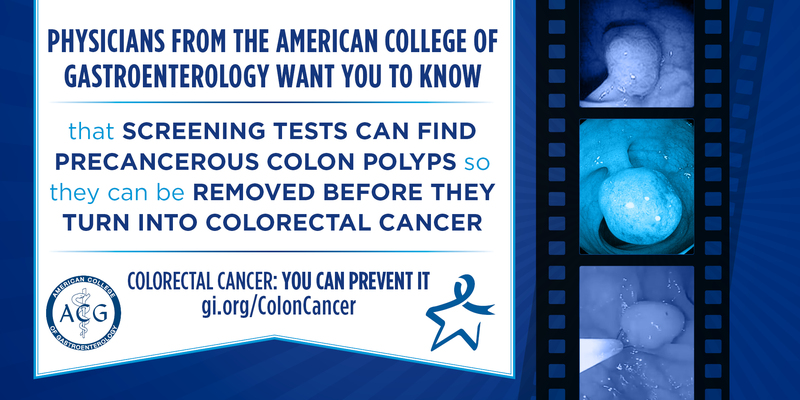 ACG will support the National Colorectal Cancer Roundtable’s new awareness campaign that aims to continue the fight beyond the “80% by 2018” national screening goal. With the American Cancer Society and NCCRT, ACG is working toward the shared goal of reaching 80% of eligible adults screened for colorectal cancer. What Common Cancer Can You Prevent with Screening? Your Doctor Has Ordered A Colonscopy: What Questions Should You Ask?